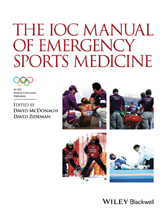 The Manual focuses on the fieldside diagnosis and treatment of severe injuries and illnesses that can present at a sports event. It concentrates on basic diagnostic skills and treatment modalities as the sports physician has often limited diagnostic and treatment facilities available. When Should the ED Request a Cranial CT?